Premier Aquatic Services not only offers swim lessons and lifeguard services, we also train others. Through our swim instructor training programs, participants learn the skills they need to start their careers as a swim instructor. To learn how to teach people of all ages and abilities how to swim. Premier’s swim instructor training programs leverages the American Red Cross program to provide a logical progression for learning the knowledge and skills necessary for aquatic skill development. In turn, this leads to safer and better swimmers. The swim instructor training program features 30 hours of classroom and practical training, designed to teach the theory and provide active practice. Participants must be at least 16 years old, and be able to swim 25 yards using all six major strokes – freestyle, backstroke, butterfly, breaststroke, sidestroke, elementary backstroke, and treading water for 2 minutes. To successfully complete the course, participants must attend and participate in all class sessions and demonstrate competency in all required skills and activities. Upon successful completion, participants receive an American Red Cross certificate as a Water Safety Instructor. At Premier, our staff is dedicated to promoting water safety in every way possible. From childhood swim lessons to private lifeguard services for parties, Premier offers an array of services for your family. To enroll in our swim instructor training program or any of our American Red Cross first aid classes, visit our website. Sign up for our Newsletter to stay up-to-date with Premier and receive special offers! Emergencies can often happen without warning, and every family should take care to develop an overall emergency response plan. However, a key element of a family’s ability to respond to an unexpected emergency is the emergency preparedness kit they develop ahead of time. 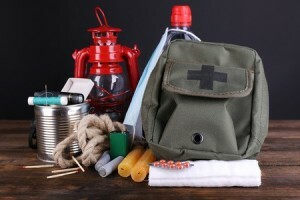 An emergency preparedness kit, or disaster supply kit, is a collection of basic supplies necessary to sustain you and your loved ones when a disaster strikes. We live in a world where we are accustomed to convenience and instant gratification, but in the event of an earthquake, fire, tsunami, or myriad of other potential scenarios, you wouldn’t have the time to swing by the store for water and food. In the event of a true disaster, there is a very real possibility that it would take days for relief efforts to reach you. 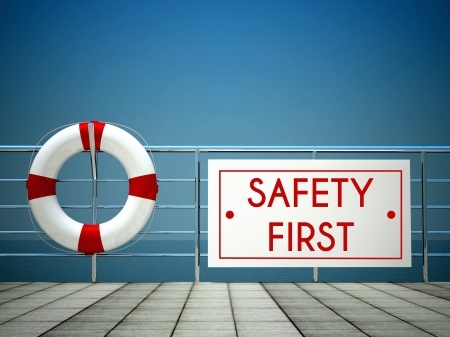 At Premier Aquatic Services, we understand the importance of ensuring your family’s safety. Whether it’s providing CPR education for your family or keeping our community safe with lessons from The Safer 3 Water Safety Foundation, our team is committed to your wellbeing. For a full look at our Health and Safety Classes or to enroll in spring swim lessons, visit us online at www.swimoc.com. It’s every parent’s worst nightmare – suddenly his or her child’s throat begins to swell and the child can’t breath. Not all of those who have allergies will experience anaphylactic shock. This severe reaction happens when an over-release of chemicals puts the person into shock. It is treated with an injection of epinephrine, which is available by prescription to those who have experienced anaphylaxis before. 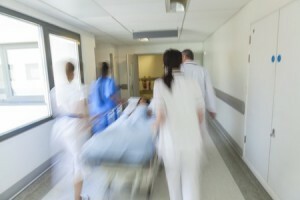 Anaphylactic shock is particularly concerning for those who care for children because a child may not yet know he is allergic to something, and therefore, he would not be carrying an auto-injector of epinephrine, also known as an Epi-Pen. However, children may not be able to articulate those symptoms as clearly as adults. Children are more likely to say thing such as my tongue feels heavy, my mouth itches, there’s something stuck in my throat, or my chest hurts. In our first aid classes, we teach students how to identify anaphylactic shock, administer a dose of epinephrine if it is available, and call for help. If a person is experiencing an allergic reaction, it is essential to get medical assistance immediately. Even if the person’s symptoms subside after receiving epinephrine, they must be seen by a doctor, as a secondary reaction can occur hours later. At Premier Aquatics Services, we believe in preparing all of our clients with lifesaving skills. 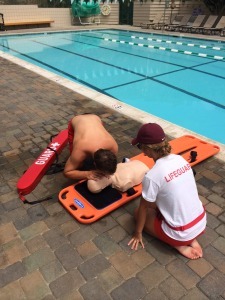 From child swim lessons to first aid classes, we provide training all year long. We know how important it is for you and your family to know what to do in the event of an emergency. To enroll in any of our Health & Safety Courses, visit us online. 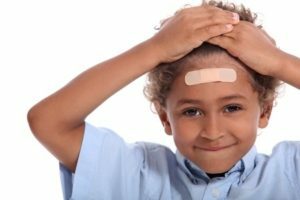 Should My Babysitter Know CPR? Many people call themselves babysitters, but what does that really mean? Babysitters, nannies, childcare specialists – there are many titles that describe the role of an individual who cares for your child when you are away. However, there is no standardization for the skills required to be classified by any of those titles. Regardless of whether it’s the high school student from down the road or a live-in au pair, the individual who is tasked with caring for your child should have certain skills to keep your child safe, such as CPR and first aid training. For babysitters between the ages of 11 and 15, the American Red Cross has developed a class to provide youth who are planning to babysit with the knowledge and skills necessary to safely and responsibly give care to children and infants. The primary goals of the training is to help participants develop leadership skills and learn about developing a babysitting business. The training includes instruction on keeping themselves and others safe, helping children behave, and the basics of childcare and first aid. Sign up for an American Red Cross Babysitter’s Training Course online. For babysitters who spend extended periods of time with children, it is important to learn more comprehensive skills, including CPR and more in-depth first aid. Performing CPR on children and infants is different than on adults, and babysitters should understand how a child’s age and size plays into the method of CPR. For babysitters who need more advanced skills, Premier offers the American Red Cross First Aid/CPR/AED program to help participants recognize and respond appropriately to cardiac, breathing, and first aid emergencies. The primary goals of this program are to teach skills that babysitters need to know to give immediate care to a suddenly injured or ill person until more advanced medical personnel arrive and take over. This program offers a choice of first aid, CPR, and AED courses to meet the various training needs of babysitters and other audiences. Sign up for an American Red Cross First Aid/CPR/AED program online. At Premier Aquatics Services, we believe in preparing all of our clients with lifesaving skills. From swim lessons for children to American Red Cross CPR Certification, we provide training all year long. No one likes to think about the possibility of a disaster striking their home or community, but the reality is that it could happen. Families can minimize the fear and uncertainty and increase the chances that each family member remains safe by developing a family emergency response plan. How would your family contact one another if a disaster were to strike? How would each family member get to a safe place? How would different emergency situations change the plan? Family members aren’t always together when an emergency arises, so it is important to consider how family members will get in touch with one another. In this day and age, we rely so heavily on technology, but it isn’t uncommon for local phone lines to be damaged. Therefore, a more in-depth plan should be developed. Identify an out of town contact. It is important to identify a trusted and easily reached family or friend who lives out of town, who can be the central point of contact in the event of an emergency. A person who lives out of town is less likely to also be affected by the emergency. Additionally, local phone lines often get jammed, making long distance communication easier. Teach texting. While text messaging is commonplace for many of us, it may not be second nature for everyone in your family. When phone lines are jammed, it is more likely that text messages will go through, so be sure everyone knows how to send and receive text messages. Create a contact card. While having important phone numbers stored in our cell phones is an important step, it is also important to have these numbers handwritten and stored in a central place in the home as well as in wallets, purses, or backpacks. The FEMA website offers a convenient template to help you gather all of the important information. Disasters can happen on different scales. 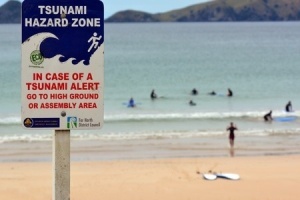 For example, the evacuation plan for a house fire is different from that of a tsunami warning. Therefore, when developing a family emergency response plan, it is important to consider the different potential circumstances. On their website, the American Red Cross discusses different types of emergencies in more detail. Establish meeting places. Talk with your family and agree upon meeting places outside your home (such as the mailbox or neighbor’s house), outside your neighborhood (such as a school or place of worship), and outside of town (such as a family member’s house or a school commonly used as an American Red Cross shelter). Then, discuss how to decide which meeting place would be the right place to go. Determine escape routes from each room. In developing your plan, go room to room and establish the two best escape routes from each. Whether your family is faced with a fire or an earthquake, the primary exits may not be passable. Plan what to do if you must evacuate. Make sure everyone in the family knows where the emergency kit is located, and assign two family members to be in charge of putting it in the vehicle. Map out multiple evacuation routes, and practice driving those routes twice a year. Think about alternate routes as you drive, in case your planned roads are impassable. Special considerations. Be sure to take into account special considerations such as elderly family members, those with disabilities, and pet care. In addition to creating a family emergency response plan, you can make sure your family is prepared by installing fire and carbon monoxide detectors in your home, building emergency kits, teaching household members how to use fire extinguishers and turn off utilities, and taking first aid and CPR classes. At Premier Aquatics Services, we believe in preparing all of our clients with lifesaving skills. From child swim lessons to American Red Cross CPR Certification, we provide training all year long. Click here to learn more or enroll in CPR classes today! Swimming is one of the most popular low-impact sports in the U.S., but that doesn’t mean you can’t get hurt. There are two common reasons swimming injuries occur: fatigue leading to poor technique and repetitive motion causing strain. Most swimming-related injuries develop over time. Therefore, whether you are a competitive swimmer or simply enjoy swimming for exercise, it is important to understand the common injuries in order to better prevent them. Shoulder injuries are the most common because swimming is a sport that involves a great deal of repetitive shoulder motion. Swimmer’s Shoulder is an umbrella term that covers a range of painful shoulder overuse injuries. The shoulder is a very mobile joint that is controlled by the stabilizing muscles and ligaments surrounding it. These muscles and ligaments are very sensitive to over-training, fatigue, hypermobility, poor stroke technique, weakness, and tightness. Ignoring minor shoulder injuries can be quite dangerous for swimmers because the more advanced forms of Swimmer’s Shoulder can be difficult to heal. Swimmer’s Knee is often called Breaststroker’s Knee because the leading cause is the repetitive motions of the breaststroke kick. During breaststroke, the leg whips out to help propel the body through the water. When the legs extend and are brought back together, the knee is subject to an external rotation for which it wasn’t designed. This puts stress on the inner ligament of the knee, called the Medial Collateral Ligament. Neck injuries are common swimming-related injuries that are not necessarily connected with a specific stroke. Injuries may result by over-rotating when repetitively turning for a breath during freestyle, hyperextending during breast stoke, or overexerting the anterior neck muscles during backstroke. While swimming is a low-impact sport, its repetitive nature means each athlete must take care of his or her body and take the time to learn proper form. At Premier Aquatics Services, your health and safety are our top priorities. All of our instructors and coaches understand the importance of teaching proper technique and remaining aware of form while swimmers are in the water. Visit our website to learn more about our wide range of group and individual swim classes. For more information on swim training, follow us on Facebook. *Always consult with a physician if you experience an injury or pain. While other areas of the country might be experiencing record breaking cold temperatures and snowstorms, it is all sunny skies in Southern California. With spring just around the corner, temperatures will start to rise rapidly, and before you know it, you’ll be lounging on the beach or pool. It is important to make sure that while you and your family are having fun in the sun, you take the proper precautions to avoiding sunburns and sunstroke. Most people do not put enough sunscreen on before exposing themselves to the sun. Sunscreen should be applied before going outdoors, and reapplied every two hours depending on the activity that is being performed. Activities like swimming can remove sunscreen and might require you to reapply more often. The sunscreen that you are using should protect against both UVA and UVB damage. You should be using a Sun Protector Factor (SPF) of at least 15 and, if you have sensitive skin, it should be even higher. The higher the SPF, the more protection it offers from the sun. Remember, sunscreen does expire, so make sure you check the label before applying. If you are going to be exposed to the sun for an extended period of time, make sure you cover up. Wearing a hat can protect your face from the sun and wearing sunglasses will help protect your eyes. Wearing lightweight, light colored clothing will help reflect the sun’s rays back instead of absorbing them. If you are heading to the beach or pool, make sure you have a body-sized umbrella available to provide you with shade. Being directly out of the sun’s rays well help prevent your body from becoming dehydrated and keep sunstroke from setting in. Try limiting vigorous activity in the middle of the day. This is when temperatures are usually the hottest and sunstroke can occur if you are performing a strenuous activity for an extended amount of time. 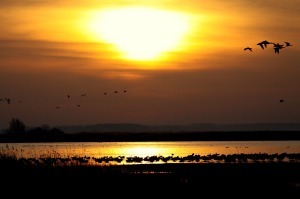 Try rescheduling your activities to earlier in the morning or during evening hours. Make sure you are drinking plenty of water and stay hydrated during your activity. If at any time while you are in the sun you feel that you are getting sunburned or feel dizzy you should seek shade immediately and drink plenty of fluids. For more First Aid tips visit our blog!